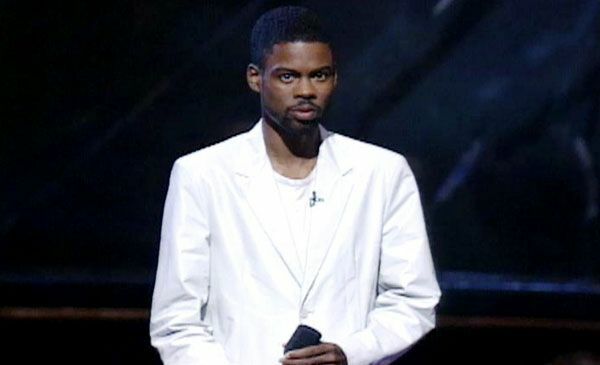 9.9.1999, New York City: Just two months after the release of his fiery landmark comedy hour, Bigger &amp; Blacker Chris Rock returns to host the 1999 MTV VMAs. 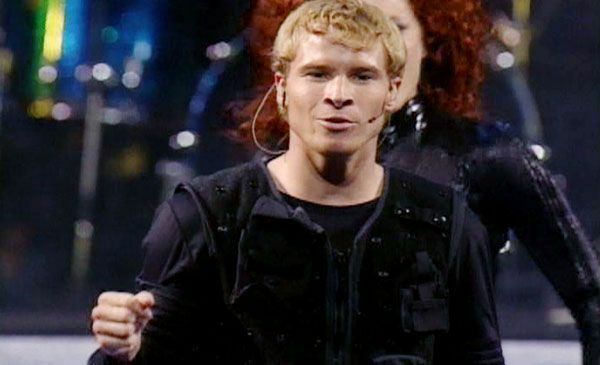 9.9.1999, New York City: Backstreet Boy Brian Littrell rides out his 15 minutes in style, performing in a bullet-proof space vest at the Metropolitan Opera House. 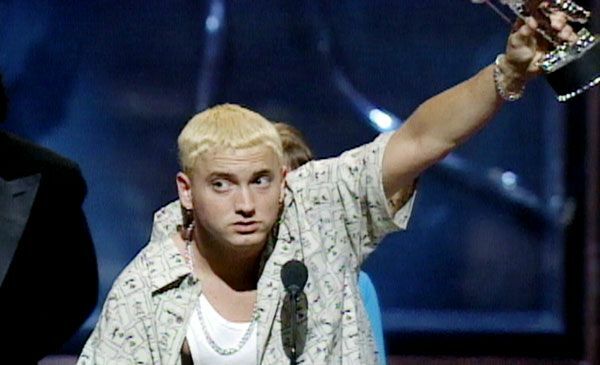 9.9.1999, New York City: A new era dawns as 1999's Best New Artist-winner, Eminem, collects his Moonman and greets his public. 9.9.1999, New York City: Meanwhile, back in bubblegum country, another rising star called Britney Spears performs her breakaway hit, "Baby One More Time," at the VMAs. 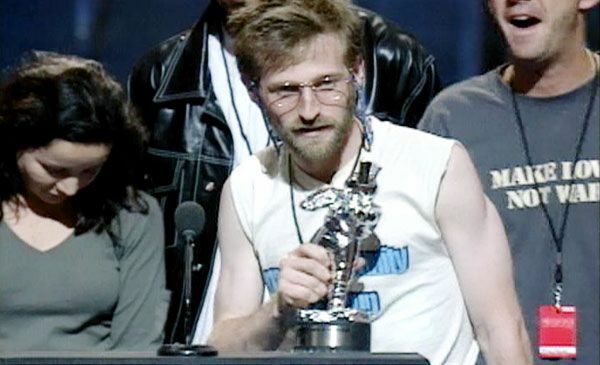 9.9.1999, New York City: The Torrance Community Dance Group accepts the award for the Best Breakthrough-winning video they did for Fatboy Slim. Has anybody seen Spike Jonze around? 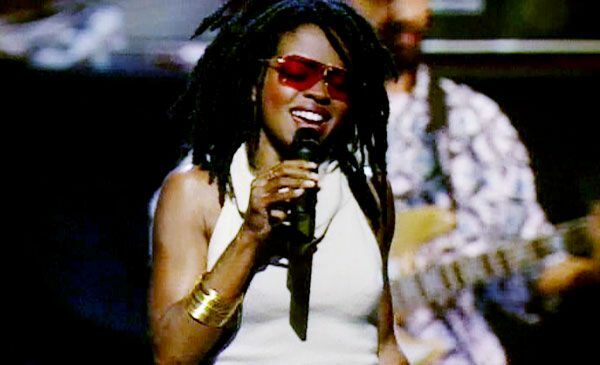 9.9.1999, New York City: That thing she does wins Lauryn Hill four Moonmen and a whole world of fans. Here she celebrates with an unforgettable VMA performance. 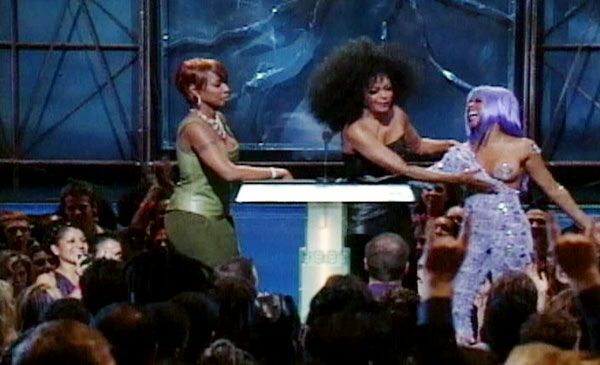 9.9.1999, New York City: Original diva Diana Ross skips the formalities and goes straight to second base with Lil' Kim. Mary J. Blige doesn't look particularly surprised. 9.9.1999, New York City: Jennifer Lopez averts her eyes as Madonna accepts the Moonman for Best Video from a Film, Austin Powers' "Beautiful Stranger." 9.9.1999, New York City: TRL host Carson Daly and giant bunny Pamela Anderson team up to present a Moonman at the '99 VMAs. 9.9.1999, New York City: Ricky Martin makes the ladies swoon with a live VMA performance of his romantic ballad, "She's All I've Ever Had." 9.9.1999, New York City: Moonman presenter Christina Aguilera doesn't seem to mind that Tommy Lee is naked under his trenchcoat. 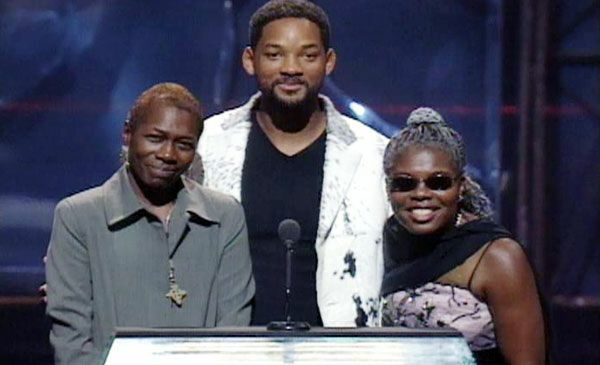 9.9.1999, New York City: Will Smith introduces Afeni Shakur and Voletta Wallace, Tupac and Biggie's moms, for the first time at the '99 Video Music Awards.